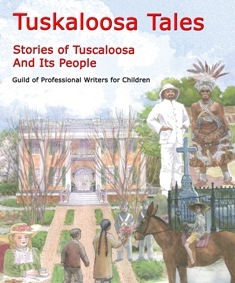 Tuskaloosa Tales Stories of Tuscaloosa and Its People is an interesting collection of short stories for children that examines the diverse heritage of Tuscaloosa, Alabama. 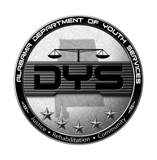 There are true stories as well as fictional stories of people, places, and events of the past. These stories from the past have developed to form Tuscaloosa’s future. The introduction by Aileen Kilgore Henderson highlights Greenwood Cemetery–A Capsule of History, located in southwest Tuscaloosa. The cemetery, formed in 1819, was open for all people: black, white, rich, or poor. Today many graves are not marked or too age-worn to read. “The Paddlewheel Adventure: Coming to Tuscaloosa County, Alabama” by Margaret Zehmer Searcy centers around the adventure of a young boy named Tim and his family. He becomes a boat-boy after finishing fourth grade while he waits for his father to return from Carolina with his mother, the new baby, and the twins. Tim has wonderful paddlewheel adventures on the Warrior River in Tuscaloosa. Other stories include “Friendship and the Trail of Tears” by Vetta Lavender, “The Battle of Tuscaloosa” by Patt M. Devitt, and “Black Warrior Rising” by Claudia H. Pearson. Pearson’s story depicts the 1927 Mississippi River flood in Louisiana that forced many residents to relocate to Tuscaloosa. 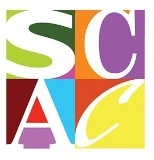 Linda A. McQueen is the Library Media Specialist at McNeel School-Vacca Campus.